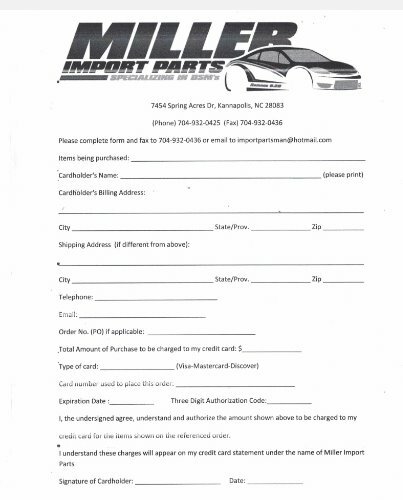 Miller Import Parts has multiple sticker options available to you! Large stickers are 10" x 2.25" and come in blue, yellow, black, and white. Small Stickers are 7" x 1.75" and come in black and white.